ជីវិត (អង់គ្លេស ៖ life) is a characteristic distinguishing physical entities having biological processes, such as signaling and self-sustaining processes, from those that do not, either because such functions have ceased, or because they never had such functions and are classified as inanimate. Various forms of life exist, such as plants, animals, fungi, protists, archaea, and bacteria. 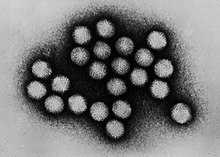 The criteria can at times be ambiguous and may or may not define viruses, viroids, or potential artificial life as "living". Biology is the primary science concerned with the study of life, although many other sciences are involved. The definition of life is controversial. The current definition is that organisms maintain homeostasis, are composed of cells, undergo metabolism, can grow, adapt to their environment, respond to stimuli, and reproduce. However, many other biological definitions have been proposed, and there are some borderline cases of life, such as viruses. Throughout history, there have been many attempts to define what is meant by "life" and many theories on the properties and emergence of living things, such as materialism, the belief that everything is made out of matter and that life is merely a complex form of it; hylomorphism, the belief that all things are a combination of matter and form, and the form of a living thing is its soul; spontaneous generation, the belief that life repeatedly emerges from non-life; and vitalism, a now largely discredited hypothesis that living organisms possess a "life force" or "vital spark". Modern definitions are more complex, with input from a diversity of scientific disciplines. Biophysicists have proposed many definitions based on chemical systems; there are also some living systems theories, such as the Gaia hypothesis, the idea that the Earth itself is alive. Another theory is that life is the property of ecological systems, and yet another is elaborated in complex systems biology, a branch or subfield of mathematical biology. Abiogenesis describes the natural process of life arising from non-living matter, such as simple organic compounds. Properties common to all organisms include the need for certain core chemical elements to sustain biochemical functions. Life on Earth first appeared as early as 4.28 billion years ago, soon after ocean formation 4.41 billion years ago, and not long after the formation of the Earth 4.54 billion years ago. Earth's current life may have descended from an RNA world, although RNA-based life may not have been the first. The mechanism by which life began on Earth is unknown, though many hypotheses have been formulated and are often based on the Miller–Urey experiment. The earliest known life forms are microfossils of bacteria. In July 2016, scientists reported identifying a set of 355 genes believed to be present in the last universal common ancestor (LUCA) of all living organisms. Since its primordial beginnings, life on Earth has changed its environment on a geologic time scale. To survive in most ecosystems, life must often adapt to a wide range of conditions. 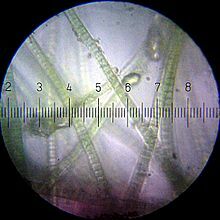 Some microorganisms, called extremophiles, thrive in physically or geochemically extreme environments that are detrimental to most other life on Earth. Aristotle was the first person to classify organisms. Later, Carl Linnaeus introduced his system of binomial nomenclature for the classification of species. Eventually new groups and categories of life were discovered, such as cells and microorganisms, forcing dramatic revisions of the structure of relationships between living organisms. Cells are sometimes considered the smallest units and "building blocks" of life. There are two kinds of cells, prokaryotic and eukaryotic, both of which consist of cytoplasm enclosed within a membrane and contain many biomolecules such as proteins and nucleic acids. Cells reproduce through a process of cell division, in which the parent cell divides into two or more daughter cells. Though currently only known on Earth, life need not be restricted to it, and many scientists believe in the existence of extraterrestrial life. Artificial life is a computer simulation or man-made reconstruction of any aspect of life, which is often used to examine systems related to natural life. Death is the permanent termination of all biological functions which sustain an organism, and as such, is the end of its life. Extinction is the process by which an entire group or taxon, normally a species, dies out. Fossils are the preserved remains or traces of organisms. It is a challenge for scientists and philosophers to define life. This is partially because life is a process, not a substance. Any definition must be general enough to both encompass all known life and any unknown life that may be different from life on Earth. Spontaneous generation was the belief on the ordinary formation of living organisms without descent from similar organisms. Typically, the idea was that certain forms such as fleas could arise from inanimate matter such as dust or the supposed seasonal generation of mice and insects from mud or garbage. Although the number of Earth's catalogued species of lifeforms is between 1.2 million and 2 million, the total number of species in the planet is uncertain. Estimates range from 8 million to 100 million, with a more narrow range between 10 and 14 million, but it may be as high as 1 trillion (with only one-thousandth of one percent of the species described) according to studies realized in May 2016. The total amount of related DNA base pairs on Earth is estimated at 5.0 x 1037 and weighs 50 billion tonnes. In comparison, the total mass of the biosphere has been estimated to be as much as 4 TtC (trillion tons of carbon). In July 2016, scientists reported identifying a set of 355 genes from the Last Universal Common Ancestor (LUCA) of all organisms living on Earth. Life forms live in every part of the Earth's biosphere, including soil, hot springs, inside rocks at least ១២ ម៉ៃ. (១៩ គ.ម.) deep underground, the deepest parts of the ocean, and at least ៤០ ម៉ៃ. (៦៤ គ.ម.) high in the atmosphere. Under certain test conditions, life forms have been observed to thrive in the vacuum of outer space. Life forms appear to thrive in the Mariana Trench, the deepest spot in the Earth's oceans. Other researchers reported related studies that life forms thrive inside rocks up to ៥៨០ ម (ទំព័រគំរូ:Convert/ft mi) below the sea floor under ២៥៩០ ម (ទំព័រគំរូ:Convert/ft mi) of ocean off the coast of the northwestern United States, as well as ២៤០០ ម (ទំព័រគំរូ:Convert/ft mi) beneath the seabed off Japan. In August 2014, scientists confirmed the existence of life forms living ៨០០ ម (ទំព័រគំរូ:Convert/ft mi) below the ice of Antarctica. The biosphere is postulated to have evolved, beginning with a process of biopoesis (life created naturally from non-living matter, such as simple organic compounds) or biogenesis (life created from living matter), at least some 3.5 billion years ago. The earliest evidence for life on Earth includes biogenic graphite found in 3.7 billion-year-old metasedimentary rocks from Western Greenland and microbial mat fossils found in 3.48 billion-year-old sandstone from Western Australia. More recently, in 2015, "remains of biotic life" were found in 4.1 billion-year-old rocks in Western Australia. In 2017, putative fossilized microorganisms (or microfossils) were announced to have been discovered in hydrothermal vent precipitates in the Nuvvuagittuq Belt of Quebec, Canada that were as old as 4.28 billion years, the oldest record of life on earth, suggesting "an almost instantaneous emergence of life" after ocean formation 4.4 billion years ago, and not long after the formation of the Earth 4.54 billion years ago. According to one of the researchers, "If life arose relatively quickly on Earth ... then it could be common in the universe." The inert components of an ecosystem are the physical and chemical factors necessary for life — energy (sunlight or chemical energy), water, temperature, atmosphere, gravity, nutrients, and ultraviolet solar radiation protection. In most ecosystems, the conditions vary during the day and from one season to the next. To live in most ecosystems, then, organisms must be able to survive a range of conditions, called the "range of tolerance." Outside that are the "zones of physiological stress," where the survival and reproduction are possible but not optimal. Beyond these zones are the "zones of intolerance," where survival and reproduction of that organism is unlikely or impossible. Organisms that have a wide range of tolerance are more widely distributed than organisms with a narrow range of tolerance. Microbial life forms thrive even in the Mariana Trench, the deepest spot on the Earth. Microbes also thrive inside rocks up to 1900 feet below the sea floor under 8500 feet of ocean. Life is usually classified by eight levels of taxa—domains, kingdoms, phyla, class, order, family, genus, and species. In May 2016, scientists reported that 1 trillion species are estimated to be on Earth currently with only one-thousandth of one percent described. The exploration of the Americas revealed large numbers of new plants and animals that needed descriptions and classification. In the latter part of the 16th century and the beginning of the 17th, careful study of animals commenced and was gradually extended until it formed a sufficient body of knowledge to serve as an anatomical basis for classification. In the late 1740s, Carl Linnaeus introduced his system of binomial nomenclature for the classification of species. Linnaeus attempted to improve the composition and reduce the length of the previously used many-worded names by abolishing unnecessary rhetoric, introducing new descriptive terms and precisely defining their meaning. In systems of scientific classification, Biota is the superdomain that classifies all life. 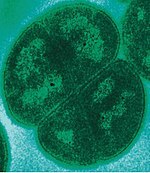 Multicellular organisms may have first evolved through the formation of colonies like cells. These cells can form group organisms through cell adhesion. The individual members of a colony are capable of surviving on their own, whereas the members of a true multi-cellular organism have developed specializations, making them dependent on the remainder of the organism for survival. Such organisms are formed clonally or from a single germ cell that is capable of forming the various specialized cells that form the adult organism. This specialization allows multicellular organisms to exploit resources more efficiently than single cells. In January 2016, scientists reported that, about 800 million years ago, a minor genetic change in a single molecule, called GK-PID, may have allowed organisms to go from a single cell organism to one of many cells. Though life is confirmed only on Earth, many think that extraterrestrial life is not only plausible, but probable or inevitable. Other planets and moons in the Solar System and other planetary systems are being examined for evidence of having once supported simple life, and projects such as SETI are trying to detect radio transmissions from possible alien civilizations. Other locations within the Solar System that may host microbial life include the subsurface of Mars, the upper atmosphere of Venus, and subsurface oceans on some of the moons of the giant planets. Beyond the Solar System, the region around another main-sequence star that could support Earth-like life on an Earth-like planet is known as the habitable zone. The inner and outer radii of this zone vary with the luminosity of the star, as does the time interval during which the zone survives. Stars more massive than the Sun have a larger habitable zone, but remain on the main sequence for a shorter time interval. Small red dwarfs have the opposite problem, with a smaller habitable zone that is subject to higher levels of magnetic activity and the effects of tidal locking from close orbits. Hence, stars in the intermediate mass range such as the Sun may have a greater likelihood for Earth-like life to develop. The location of the star within a galaxy may also affect the likelihood of life forming. Stars in regions with a greater abundance of heavier elements that can form planets, in combination with a low rate of potentially habitat-damaging supernova events, are predicted to have a higher probability of hosting planets with complex life. The variables of the Drake equation are used to discuss the conditions in planetary systems where civilization is most likely to exist. Use of the equation to predict the amount of extraterrestrial life, however, is difficult; because many of the variables are unknown, the equation functions as more of a mirror to what its user already thinks. As a result, the number of civilizations in the galaxy can be estimated as low as 9.1 x 10^-11 or as high as 156 million; for the calculations, see Drake equation. One of the challenges in defining death is in distinguishing it from life. Death would seem to refer to either the moment life ends, or when the state that follows life begins. However, determining when death has occurred requires drawing precise conceptual boundaries between life and death. This is problematic, however, because there is little consensus over how to define life. The nature of death has for millennia been a central concern of the world's religious traditions and of philosophical inquiry. Many religions maintain faith in either a kind of afterlife or reincarnation for the soul, or resurrection of the body at a later date. ↑ Lammer, H.Expression error: Unrecognized word "etal". (2009)។ "What makes a planet habitable?" (PDF)។ The Astronomy and Astrophysics Review 17: 181–249។ អ.វ.ល. :10.1007/s00159-009-0019-z។ បានដាក់ទុកឯកសារ ពី នៅថ្ងៃ 2 June 2016។ https://web.archive.org/web/20160602235333/http://veilnebula.jorgejohnson.me/uploads/3/5/8/7/3587678/lammer_et_al_2009_astron_astro_rev-4.pdf។ បានយកមក 2016-05-03។ "Life as we know it has been described as a (thermodynamically) open system (Prigogine et al. 1972), which makes use of gradients in its surroundings to create imperfect copies of itself." ↑ Woodruff, T. Sullivan; John Baross (8 October 2007)។ Planets and Life: The Emerging Science of Astrobiology។ Cambridge University Press។ Cleland and Chyba wrote a chapter in Planets and Life: "In the absence of such a theory, we are in a position analogous to that of a 16th-century investigator trying to define 'water' in the absence of molecular theory." [...] "Without access to living things having a different historical origin, it is difficult and perhaps ultimately impossible to formulate an adequately general theory of the nature of living systems". ↑ Woodruff, T. Sullivan; John Baross (8 October 2007)។ Planets and Life: The Emerging Science of Astrobiology។ Cambridge University Press។ ល.ស.ប.អ. 978-0-521-82421-7។ Cleland and Chyba wrote a chapter in Planets and Life: "In the absence of such a theory, we are in a position analogous to that of a 16th-century investigator trying to define 'water' in the absence of molecular theory."... "Without access to living things having a different historical origin, it is difficult and perhaps ultimately impossible to formulate an adequately general theory of the nature of living systems". ↑ ៨៩,០ ៨៩,១ ៨៩,២ Bell, Elizabeth A.; Boehnike, Patrick; Harrison, T. Mark 4et al (19 October 2015)។ "Potentially biogenic carbon preserved in a 4.1 billion-year-old zircon" (PDF)។ Proc. Natl. Acad. Sci. U.S.A. (Washington, D.C.: National Academy of Sciences) 112: 14518–21។ អ.វ.ល. :10.1073/pnas.1517557112។ ល.ត.ម.អ. 1091-6490។ PMC 4664351។ អ.ស.ផ.ម. 26483481។ http://www.pnas.org/content/early/2015/10/14/1517557112.full.pdf។ បានយកមក 2015-10-20។ Early edition, published online before print. ↑ ១០៥,០ ១០៥,១ ១០៥,២ G. Miller; Scott Spoolman (2012)។ Environmental Science - Biodiversity Is a Crucial Part of the Earth's Natural Capital។ Cengage Learning។ ទំ. 62។ ល.ស.ប.អ. 1-133-70787-4។ https://books.google.com/books?id=NYEJAAAAQBAJ&pg=PA62។ បានយកមក 2014-12-27។ "We do not know how many species there are on the earth. Estimates range from 8 million to 100 million. The best guess is that there are 10–14 million species. So far, biologists have identified almost 2 million species." ↑ ១០៦,០ ១០៦,១ Mora, C.; Tittensor, D.P. ; Adl, S.; Simpson, A.G.; Worm, B. (23 August 2011)។ [Expression error: Unrecognized punctuation character "១". "How many species are there on Earth and in the ocean? "]។ PLOS Biology 9: e1001127។ អ.វ.ល. :10.1371/journal.pbio.1001127។ PMC 3160336។ អ.ស.ផ.ម. 21886479។ Expression error: Unrecognized punctuation character "១".។ "In spite of 250 years of taxonomic classification and over 1.2 million species already catalogued in a central database, our results suggest that some 86% of existing species on Earth and 91% of species in the ocean still await description." ↑ The Columbia Encyclopedia, Sixth Edition. Columbia University Press. 2004. http://www.questia.com/library/encyclopedia/biosphere.jsp។ បានយកមក 2010-11-12. ↑ Hotz, Robert Lee (3 December 2010)។ "New link in chain of life"។ Wall Street Journal (Dow Jones & Company, Inc)។ https://online.wsj.com/article/SB10001424052748703377504575650840897300342.html?mod=ITP_pageone_1#printMode។ ""Until now, however, they were all thought to share the same biochemistry, based on the Big Six, to build proteins, fats and DNA."" ↑ Systema Naturae 2000 "Biota" Archived 14 June 2010 at the វេយប៊ែខ ម៉ាស៊ីន. ↑ Taxonomicon "Biota" Archived 15 January 2014 at the វេយប៊ែខ ម៉ាស៊ីន. ↑ Race, Margaret S.; Randolph, Richard O. (2002)។ "The need for operating guidelines and a decision making framework applicable to the discovery of non-intelligent extraterrestrial life"។ Advances in Space Research 30 (6): 1583–1591។ Bibcode 2002AdSpR..30.1583R។ អ.វ.ល. :10.1016/S0273-1177(02)00478-7។ ល.ត.ម.អ. 0273-1177។ "There is growing scientific confidence that the discovery of extraterrestrial life in some form is nearly inevitable"
↑ Cantor, Matt (15 February 2009)។ "Alien Life 'Inevitable': Astronomer"។ Newser។ បានដាក់ទុកឯកសារ ពី នៅថ្ងៃ 3 May 2013។ http://www.webcitation.org/query?url=http%3A%2F%2Fwww.newser.com%2Fstory%2F50874%2Falien-life-inevitable-astronomer.html&date=2013-05-03។ បានយកមក 3 May 2013។ "Scientists now believe there could be as many habitable planets in the cosmos as there are stars, and that makes life's existence elsewhere "inevitable" over billions of years, says one." ↑ "Definition of death". Definition of death. http://encarta.msn.com/dictionary_1861602899/death.html. ↑ "Extinction – definition". Extinction – definition. http://encarta.msn.com/dictionary_1861609974/extinction.html.